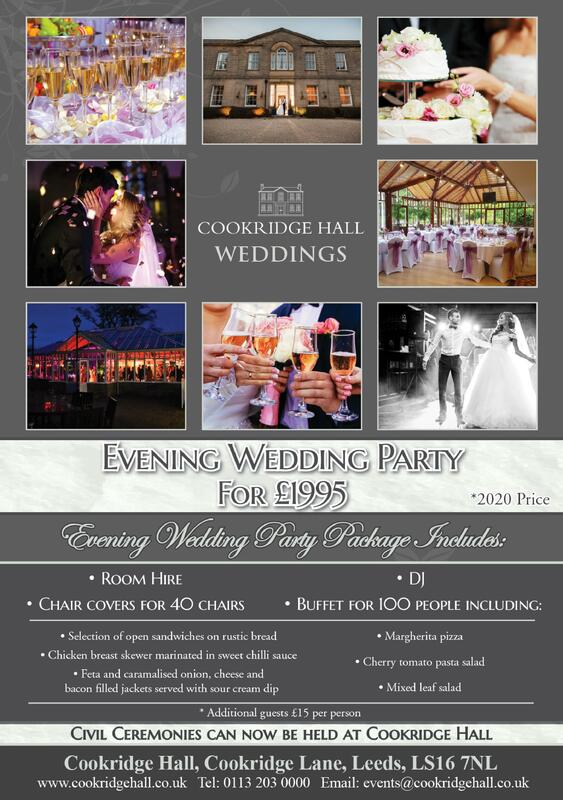 Weddings at Bannatyne Cookridge Hall. Bannatyne Cookridge Hall in North Leeds is a beautiful grade II listed old hall that dates back to 1721, set amongst an 18 hole golf course the spectacular grounds it makes the perfect backdrop to your big day. We can accommodate up to 50 guests in the Cedar Room for Civil Ceremonies, 80 guests in the Conservatory for a traditional wedding breakfast and 120 for the evening reception. Our Wedding planners have a wealth of experience and will hold your hand throughout the planning stages to ensure that your dreams become a reality. We have a strict policy of only hosting one Wedding per day. 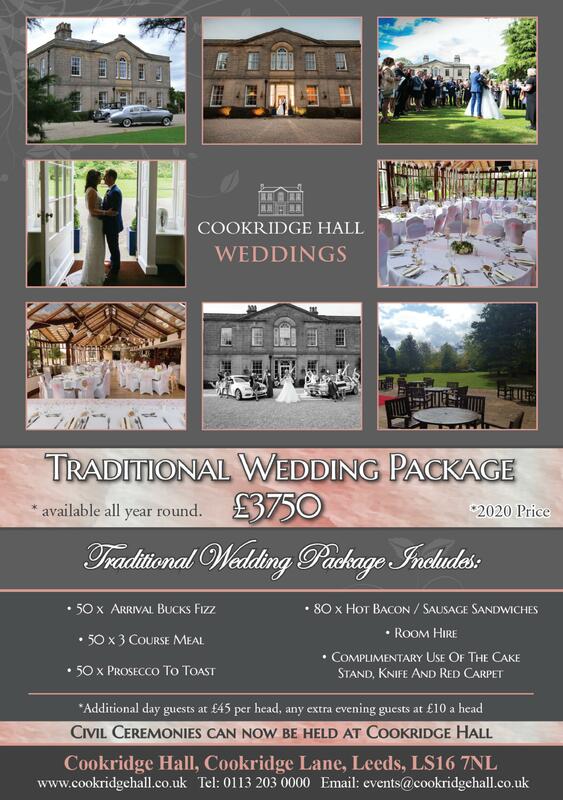 Our packages start at just £2995 and our prices don’t change in relation to the month you get married! The in house chefs will take care of all your catering requirements and our 1am late licence means you can dance the night away for that little longer. 0113 2030 000 we would love to hear from you. 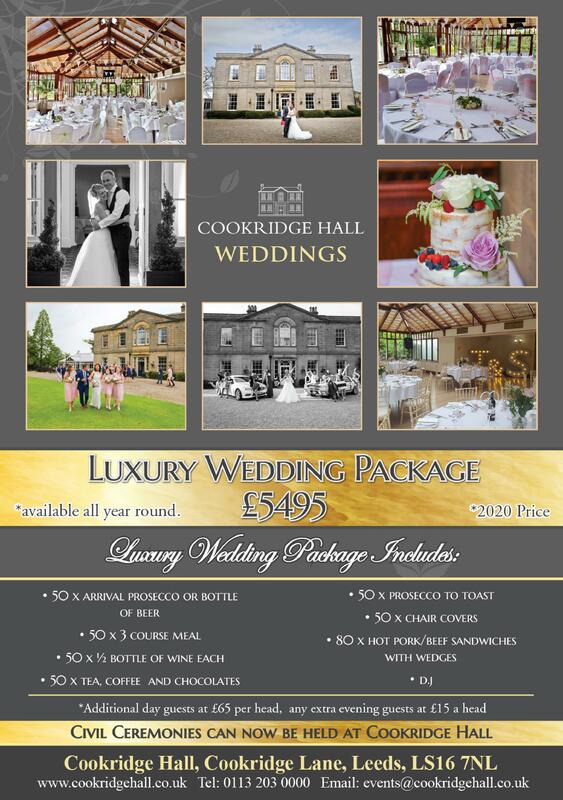 If you are planning on celebrating your recent Engagement, a special Birthday or Anniversary then look no further. The Conservatory can accommodate up to 120 guests. The room is light and airy, has direct views of the stunning grounds and has a late licence until 1am. 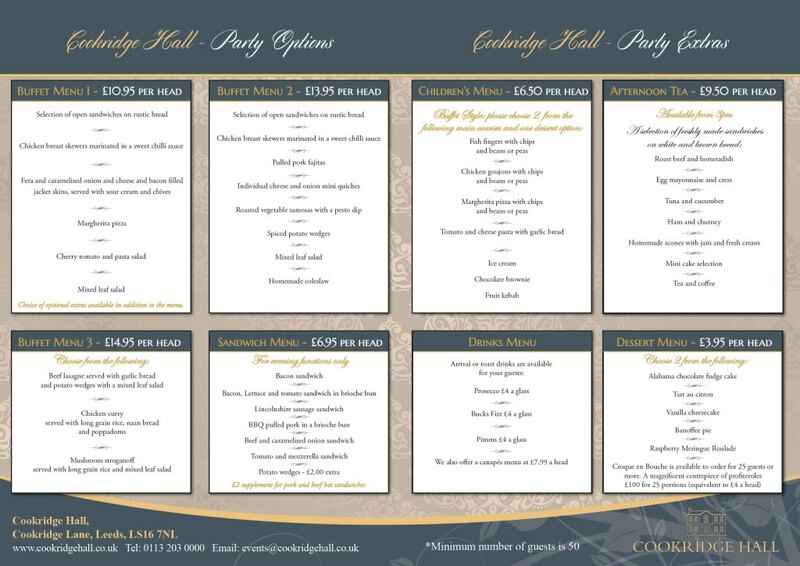 We have a wide variety of menus carefully prepared by our in house team of chefs. We are situated in Cookridge, North Leeds so it is the perfect location to mix business with pleasure in beautiful surroundings. We are located less than 10 minutes drive from Leeds Bradford Airport so if you are flying into the north, look no further. Leeds City Centre is approximately 8 miles away so we are in close proximity to the main business district of the city. The Conference Room is located in the Old part of the Grade II listed Hall, which boasts high ceilings, plenty of natural daylight and direct views of the garden. We offer complimentary parking. If you are looking for something to do after your meeting the Health Club has a fully equipped gym across 2 floors, 20m pool, sauna, Jacuzzi and steam room. 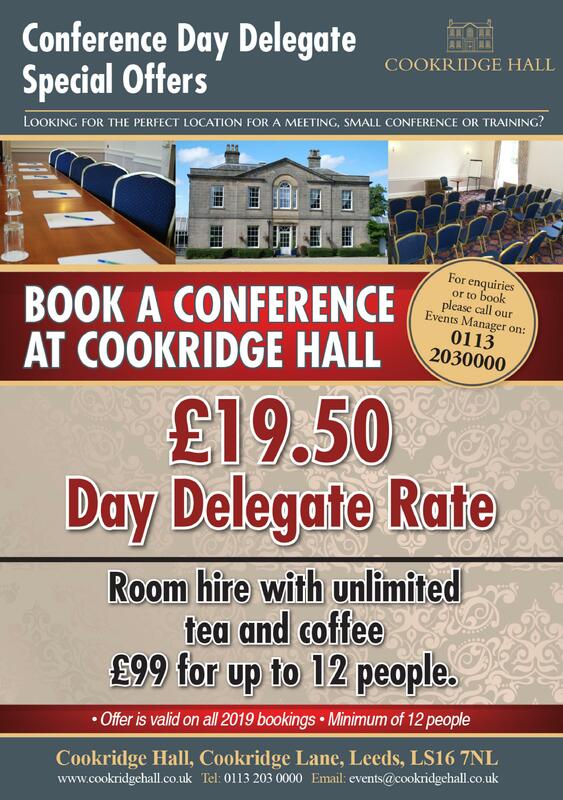 Click here to view our all inclusive DDR rate and our Meeting room hire rate.